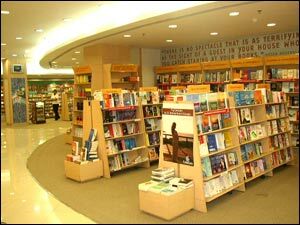 About Crossword: Crossword, founded in October 1992, is the largest retail chain of bookstores in India. 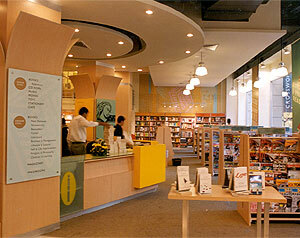 They sell Authored Books, CDs, DVDs, Music, Learning Courseware, Stationary Items, Books for Kids, and other related goods. It has 63 stores across India – Ahmedabad, Aurangabad, Amritsar, Bhopal, Bengaluru, Chennai, Durgapur, Hyderabad, Indore, Jaipur, Kolkatta, Kota, Lucknow, Mumbai, Nagpur, Nashik, Navi Mumbai, New Delhi, Pune, Thane, Udaipur, Vadodra, Vapi, and Vijayawada. 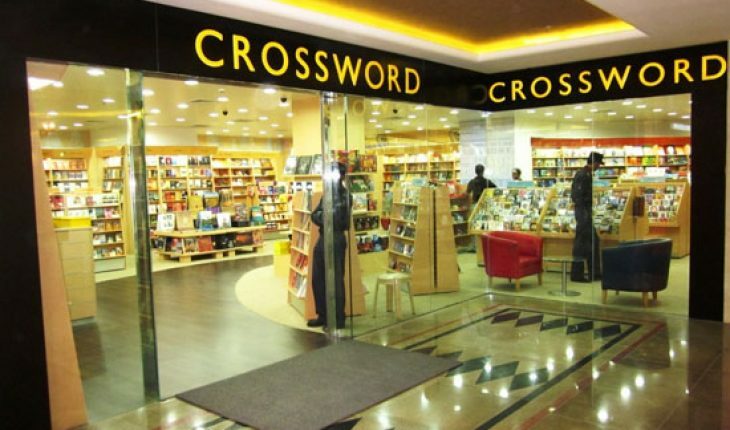 We are giving away 3 Crossword Gift Vouchers worth Rs. 1,000, Rs. 500 and Rs. 250 to 1st, 2nd and 3rd winner respectively. These Gift Vouchers can be used to purchase product(s) at any available Crossword Store across India. The period of validity of the Gift Voucher is one year from the date of issue. Since Crossword Stores are present only in India, only readers living in India will be able to participate in this Free Giveaway. We’ll return soon with Free Giveaways for International readers too. It’s pretty simple. Just follow the below 3 steps to win the Crossword Gift Vouchers. 1. Subscribe to TechiesGuide Mailing List with your email address. Remember to confirm your subscription via the confirmation link sent to your email address. 2. Like the TechiesGuide’s Facebook Fan Page OR follow us on Twitter. 3. Leave a comment below on what will you purchase with the Gift Voucher, if won. Also include your Facebook or Twitter URL in the comment for verification purpose. Note: All the above 3 steps are mandatory to qualify as a winner. 3 readers who qualify will be chosen from the comments below on 30th September 2011, RANDOMLY. 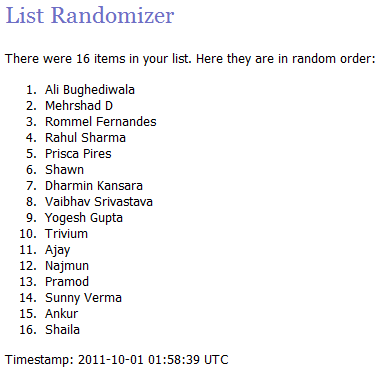 List Randomizer from Random.org will be used to select the random winners. Good luck everyone! Not interested? That’s okay. Join our Contest & Free Giveaway Newsletter so we can keep you updated of our upcoming contest and free giveaway. Help us spread the word to your friends, family and relatives by clicking the Like or Tweet button below. Thank you. Thank you everyone for your thrilled participation. Our Free Giveaway has come to an end and it’s time to declare the 3 winners for the Crossword Gift Vouchers. Congratulations Ali, Mehrshad and Rommel. We will soon be hosting more giveaways in near future. So stay tuned and subscribe to our mailing list. The winners can write to me at contact@techiesguide.com to claim their prizes and provide their shipping details.